We planned a traverse dayhike at Mt. Arayat, but on the eve of our climb, we changed it to Mt. Natib. 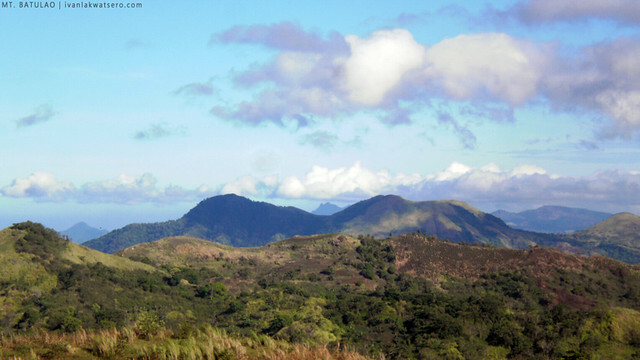 In less than an hour, we again changed it to Pico de Loro. On the day of our climb, instead of climbing the Parrot's beak, we unexpectedly ended up climbing Mt. Batulao. For the fourth time, I climbed with Dane, Agnes and Ron of Tramping Philippines. You may check their version of this story on their post: Mt. 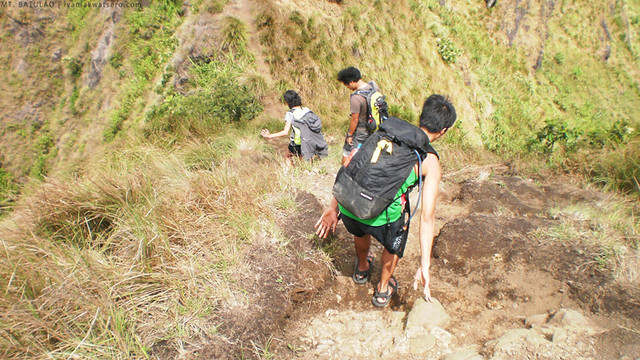 Batulao-Tagatay | The April Fools Climb. "Yes, we'll finally be climbing Mt. 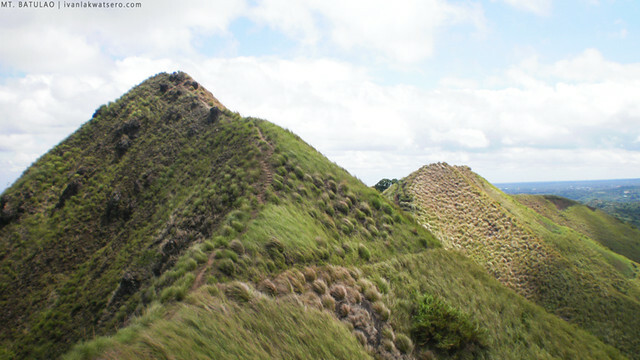 Arayat" - I said to myself the night before the expected climbing date. But since it has been raining all over the Metro for days, we became worried it might end up like my failed traverse dayhike on Mt. 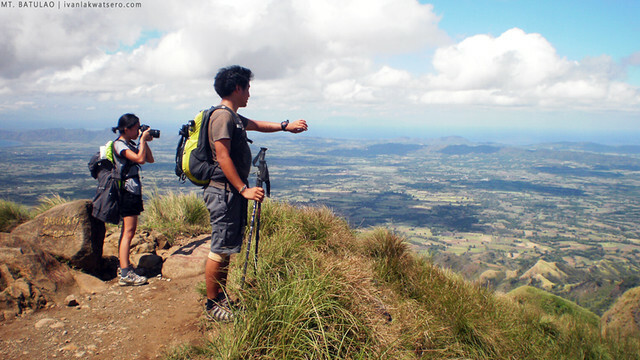 Cristobal, thus we changed it to an easier dayhike at Mt. Natib. In less than an hour, for some reasons, Dane and Agnes decided to drop the planned Mt. 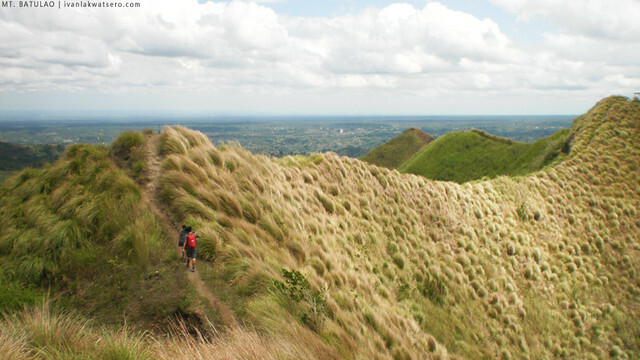 Natib dayhike and changed it again to a nearer Pico de Loro dayhike. I haven't been to Pico de Loro, and to pose on top of its rock column (aka Parrot's beak or monolith) is one of my dreams. April 1, 2012, we were waiting for Ternate-bound buses at Lawton area early at 4:30 AM. We patiently waited but unfortunately, no Ternate-bound bus came even after thirty minutes. We don't want to waste any more time by waiting for the right bus so we decided to take a Dasmariñas-bound bus and alight somewhere in Cavite where a lot of Ternate-bound bus passes by (suggested by a Dasmariñas-bound bus conductor). Indeed, the bus dropped us somewhere in Bacoor, Cavite. 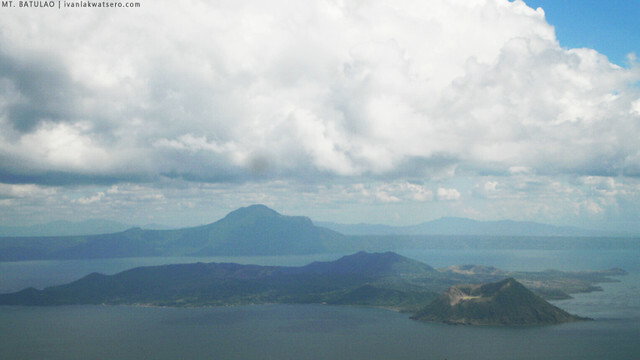 But unfortunately again, there were still no Ternate-bound buses on that area, grrr, we were fooled on April Fools. 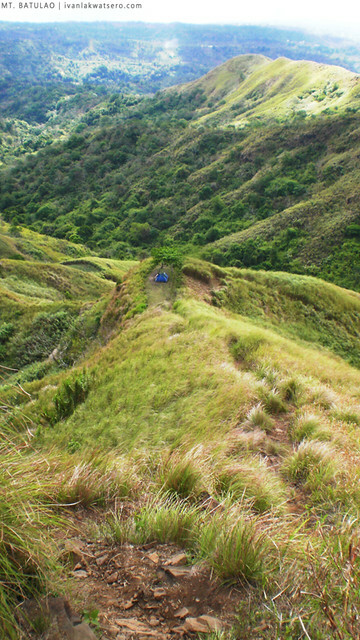 After one hour of waiting for nothing, we saw Nasugbu-bound buses, thus, it gave us an idea to do a dayhike on Mt. Batulao instead. 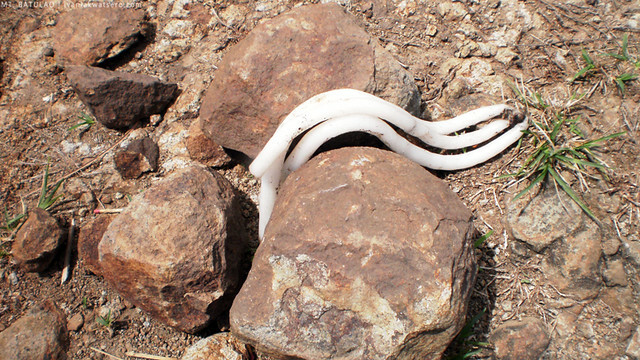 A very unexpected dayhike on Mt. 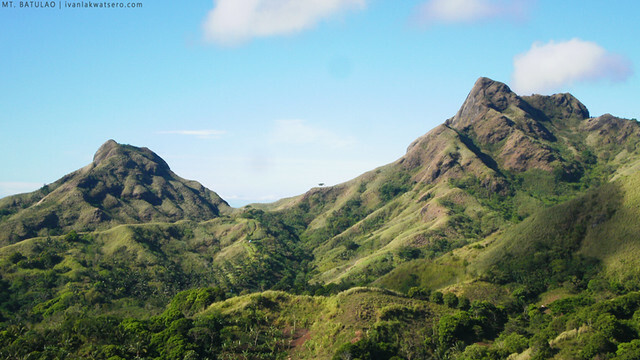 Batulao, I was surprised and excited since I have not tramped this mountain yet. Also, the tragic incident that took the life of a mountaineer which happened just last February caught my curiosity, I want to see where exactly it happened in Mt. Batulao. It was around 07:00 AM when we reached Evercrest Golf Course, Nasugbu, Batangas. We ate first our breakfast in a carinderia located near Evercrest then we rode a trike to the village (the main jump-off) inside Evercrest. Our trek to Mt. 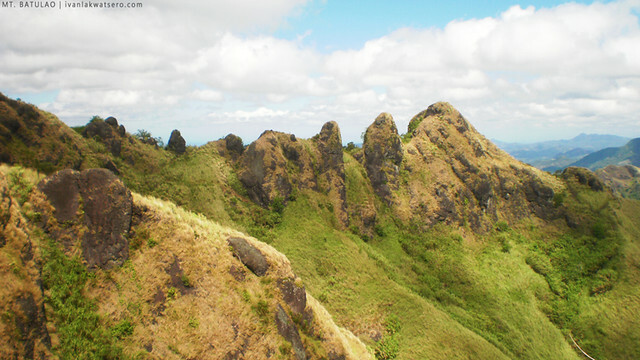 Batulao's nine summits started at around 8:00 AM. The weather was perfect, no sign of rain clouds above us. The views were clear and really astonishing, nakaka-wow talaga. 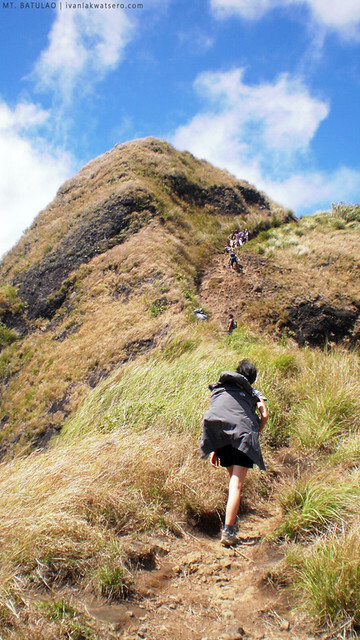 We did it easily and swiftly, Mt Batulao is really an easy fun climb which can be done in more or less than 3 hours (petiks lang talaga). We did a little scrambling on our assault to Peak 9, but beyond that, the trail was pretty easy. 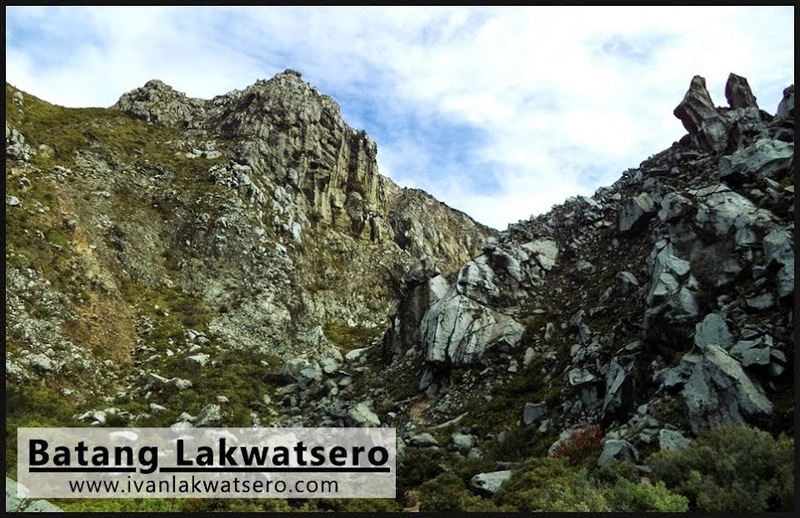 No doubt, many mountaineers had their very first climb on this mountain (kasi nga madali lang siya akyatin, pwedeng pwede sa mga beginners). I felt strange as we approach Peak 8, the peak where the tragic incident happened. According to one of the vendors stationed along the trail between Peaks 9 and 8 who happened to witness the actual tragedy, Ms. Diana Fajardo was standing on the steep edge of Peak 8 when she lost her balance while taking picture of her fellow mountaineers and it was a fatal fall (head first). There were candles on the rocks at Peak 8, quite creepy but of course we offered prayers for the soul of this very unfortunate mountaineer. By 11:30 AM, we've completed the circuit of trail (old to new trail). We headed straight to the showers (P20/balde) outside the Evercrest. Then before 12 noon, we're already on our way to Tagaytay for lunch. Yes we failed to summit Mt. Arrayat on April Fools day, as well as Mt. 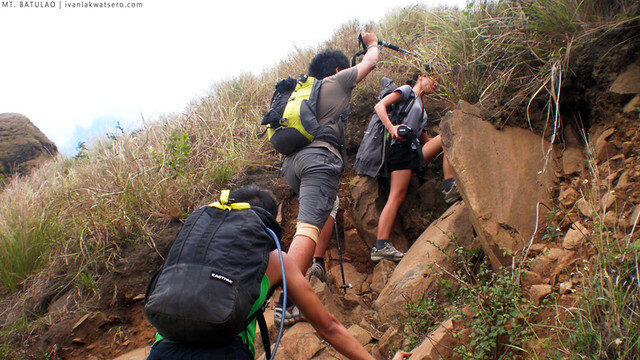 Natib and Pico de Loro but all of us still seemed to enjoy this fun climb at Mt. Batulao brought by a series of unexpected occurrences. PS. I thought my Olympus DigiCam met its mortality on my climb (a rainy climb) at Mt. 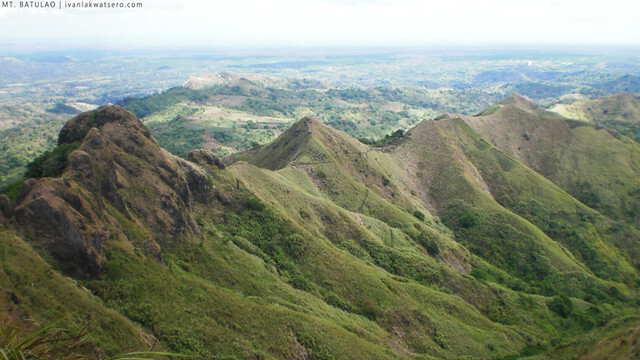 Cristobal a week before this Mt. 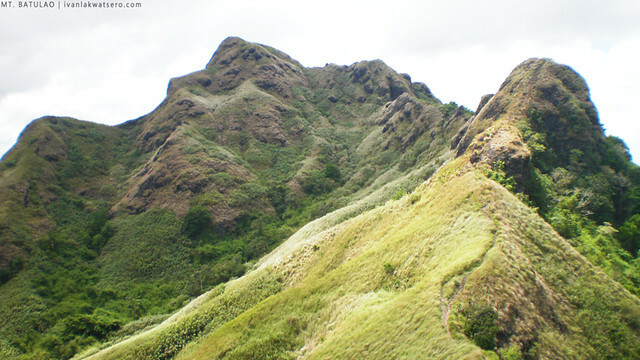 Batulao dayhike. But hey, after I hung it at the back of our refrigerator (yup, I'm quite old school), it worked very well again. haha. And look, I was able to use it here in my Mt. 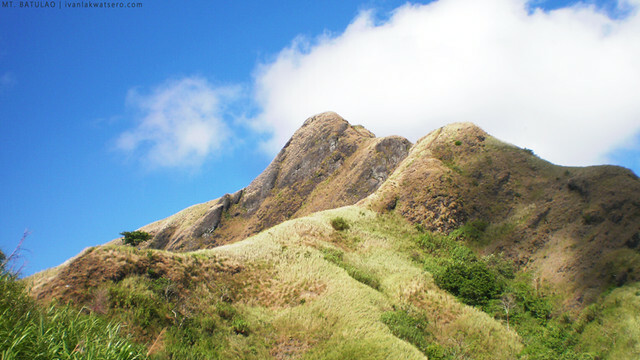 Batulao Climb. I feel bad and upset about the death of the young hiker because it was due to an accident that need not happen if only a little caution was exercised. There are always unexpected perils even in the tamest mountain climb for the careless. thanks tay :) subukan mo na rin ang hiking. masaya mag picture dun!!! Agree ako maganda ang Mt. Batulao kahit inabot kami nang ulat sa summit. 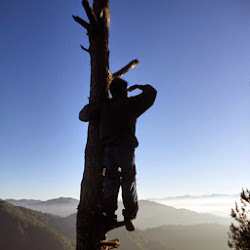 nice pics sir ivan...naalala ko tuloy nung night trek kami ng mga grupo ko dyan sa batulao almost 1 decade ago..kaka-mis..makapanik uli pag-uwi..request ko lang kung na try mo na ba sa mt. binangonan (not official name.) in real quezon. thanks..
😔sad to say dyan din namatay ang anak kong lalaki 24 years old ..june 13,2010..
Good pm, asks ko lang po is it still safe to climb mt batulao? Mga newbies po kasi kami.. safe din po ba against bad guys? Thank you po in advance.